Spend time in one of Europe's oldest cities, the vibrant Bulgarian capital of Sofia. Get some cultural insight at Cathedral Saint Alexandar Nevski and The Rotunda of St George (Sveti Georgi). Explore hidden gems such as Rila Monastery and Prohodna Cave. Take a break from Sofia with a short trip to Waterfall "Goritsa" in Sapareva Banya, about 1h 15 min away. There's still lots to do: relax and float downstream with a rafting and tubing tour, pause for some serene contemplation at Sveti Sedmochislenitsi Church, delve into the distant past at Sofia Ancient Serdica Archaeological Complex, and test your problem-solving skills at popular escape rooms. To see traveler tips, photos, reviews, and tourist information, you can read our Sofia visit planner . Kuala Lumpur, Malaysia to Sofia is an approximately 18-hour flight. You can also do a combination of bus and flight; or do a combination of train and flight. You'll gain 6 hours traveling from Kuala Lumpur to Sofia due to the time zone difference. When traveling from Kuala Lumpur in June, plan for little chillier days in Sofia, with highs around 30°C, while nights are much colder with lows around 15°C. Finish your sightseeing early on the 6th (Thu) to allow enough time to travel to Sinemorets. Prohodna Cave, Rila Monastery, Waterfall "Goritsa"
Sinemorets is a village and seaside resort on the Black Sea coast of Bulgaria, located in the very southeast of the country close to the border with Turkey, where the river Veleka flows into the sea. Kick off your visit on the 7th (Fri): tour the pleasant surroundings at Veleka Beach. For ratings, more things to do, photos, and more tourist information, refer to the Sinemorets trip maker tool . Use the Route module to find suitable travel options from Sofia to Sinemorets. Expect a bit warmer evenings in Sinemorets when traveling from Sofia in June, with lows around 19°C. On the 7th (Fri), wrap the sightseeing up by early afternoon so you can travel to Nuremberg. Eschew the tourist crowds and head to Old Town and Schwarzachschlucht. Visiting Wildpark Schloss Tambach and Walderlebniszentrum Tennenlohe will get you outdoors. Explore the numerous day-trip ideas around Nuremberg: Town Walls (in Rothenburg), Fränkisches Freilandmuseum Bad Windsheim (in Bad Windsheim) and Bamberg Altstadt (in Bamberg). Next up on the itinerary: hike along Naturschutzgebiet Holle, admire the masterpieces at Germanisches Nationalmuseum, explore the historical opulence of Kastell Abusina am Limes, and steep yourself in history at Albrecht Durer's House. To find photos, maps, where to stay, and more tourist information, use the Nuremberg vacation planner . Use the Route module to find suitable travel options from Sinemorets to Nuremberg. You'll gain 1 hour traveling from Sinemorets to Nuremberg due to the time zone difference. Expect a bit cooler temperatures when traveling from Sinemorets in June; daily highs in Nuremberg reach 26°C and lows reach 13°C. Finish your sightseeing early on the 12th (Wed) to allow enough time to drive to Cochem. 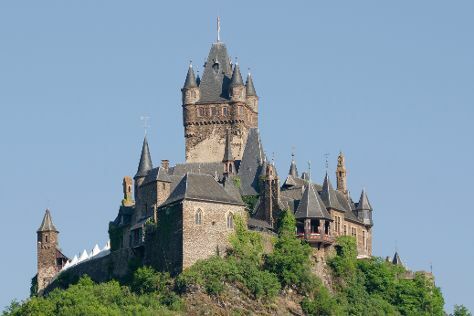 Nestled away within the rolling hills of the Moselle River Valley, Cochem possesses an archetypical German appearance and medieval charm that provides one of the best atmospheres in the country. Reichsburg Cochem and St. Peter's Cathedral (Dom) are good opportunities to explore the local culture. Escape the urban bustle at Wild- & Erlebnispark Daun and Layensteig Strimmiger-Berg. Explore Cochem's surroundings by going to Porta Nigra (in Trier), Burg Eltz (in Wierschem) and Bernkastel-Kues (Mosel Valley, Mittelalterlicher Marktplatz, & more). The adventure continues: see the interesting displays at Bundesbank-Bunker Cochem, steep yourself in history at Beilstein Castle/Burg Metternich, learn about winemaking at Weingut Bremm - Keltenhof, and take in the spiritual surroundings of Liebfrauenkirche. For traveler tips, more things to do, where to stay, and tourist information, use the Cochem route builder tool . You can drive from Nuremberg to Cochem in 4 hours. Other options are to take a train; or do a combination of flight and train. Traveling from Nuremberg in June, expect nights in Cochem to be about the same, around 13°C, while days are slightly colder, around 22°C. Cap off your sightseeing on the 17th (Mon) early enough to go by car to Cologne. Satisfy your inner culture vulture at Cologne Cathedral and St. Maria im Kapitol. Aachen Cathedral (Dom) and St. Maria Himmelfahrt will appeal to history buffs. Venture out of the city with trips to Bergehalde Grosses Holz (in Bergkamen), Soldatenfriedhof Hurtgen (in Huertgenwald) and Wildpark (in Bad Marienberg). There's much more to do: tour the pleasant surroundings at Teverener Heide, look for all kinds of wild species at Lindenthaler Tierpark, and take in the architecture and atmosphere at St. Maria in der Kupfergasse. For other places to visit, traveler tips, reviews, and other tourist information, you can read our Cologne route builder website . Traveling by car from Cochem to Cologne takes 1.5 hours. Alternatively, you can take a train. Traveling from Cochem in June, expect nights in Cologne to be about the same, around 13°C, while days are somewhat warmer, around 26°C. Wrap up your sightseeing on the 22nd (Sat) to allow time to drive to Amsterdam. Deepen your sense of the past at sights like Anne Frank House and Sint-Bavokerk (Church of St. Bavo). Get a sense of the local culture at Rijksmuseum and The Jordaan. Get out of town with these interesting Amsterdam side-trips: Nationaal Park Weerribben-Wieden (in Sint Jansklooster) and Frans Hals Museum (in Haarlem). There's much more to do: take an in-depth tour of Van Gogh Museum, explore the world behind art at Willet-Holthuysen Museum, take in the architecture and atmosphere at De Duif, and see the interesting displays at Zaanse Schans. For maps, reviews, ratings, and more tourist information, read our Amsterdam holiday builder . Traveling by car from Cologne to Amsterdam takes 3 hours. Alternatively, you can take a train; or do a combination of train and flight. Traveling from Cologne in June, you will find days in Amsterdam are little chillier (23°C), and nights are about the same (13°C). Finish your sightseeing early on the 27th (Thu) to allow enough time to travel to Bled. Your inner history buff will appreciate Predjama Castle and Church of the Holy Maurus. Get a sense of the local culture at Ljubljana Old Town and Ravelnik Open Air Museum. Explore the numerous day-trip ideas around Bled: Lake Jasna (in Kranjska Gora), Tromostovje (in Ljubljana) and Postojna Caves (in Postojna). Spend the 1st (Mon) exploring nature at Triglav National Park. There's lots more to do: hike along Vintgar Gorge (Soteska Vintgar), let the river carry you with a rafting and tubing tour, explore the different monuments and memorials at Log Pod Mangartom Military Cemetery, and look for all kinds of wild species at Nature Park Strunjan. To see ratings, photos, traveler tips, and more tourist information, you can read our Bled trip maker site . You can do a combination of flight and train from Amsterdam to Bled in 6 hours. Other options are to do a combination of flight and shuttle; or drive. Expect somewhat warmer weather when traveling from Amsterdam in June: highs in Bled hover around 29°C, while lows dip to 14°C. Wrap up your sightseeing on the 2nd (Tue) early enough to drive to Hallstatt. 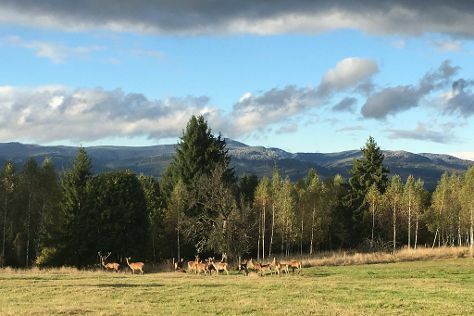 Eschew the tourist crowds and head to Dr. Vogelgesang-Klamm and Cumberland Wildpark Tierpark Grunau. Visiting Offentlicher Badeplatz Brauwiese and Langbathseen will get you outdoors. Explore Hallstatt's surroundings by going to Traunkirchen (Johannesbergkapelle, Pfarrkirche Traunkirchen, & more), Admont Monastery (in Admont) and Russbacher Schilift GesmbH & Co (in Russbach am Pass Gschutt). There's lots more to do: kick back and relax at Badestrand Hallstatt, tour the water at your own pace with Lake Hallstatt Explorer, let the kids burn off some steam at Obertraun Bathing Area/Lakeside Recreation Area, and explore the activities along Laudachsee. To see other places to visit, where to stay, and tourist information, you can read our Hallstatt trip planner . You can drive from Bled to Hallstatt in 3 hours. Other options are to take a train; or do a combination of bus and train. Finish your sightseeing early on the 7th (Sun) to allow enough time to travel to Vartop. On the 8th (Mon), identify plant and animal life at Galbena Gorges and then head outdoors with Groapa Ruginoasa. Here are some ideas for day two: explore the fascinating underground world of Bears' Cave, explore the fascinating underground world of Bear's Cave, and then identify plant and animal life at Fortress of Ponor. For where to stay, other places to visit, traveler tips, and more tourist information, go to the Vartop trip planner. Drive from Hallstatt to Vartop in 10.5 hours. Alternatively, you can fly. The time zone difference moving from Central European Time (CET) to Eastern European Time (EET) is 1 hour. Finish your sightseeing early on the 9th (Tue) so you can travel to Sibiu. Your inner history buff will appreciate Biserica Horezu and Traseul Celor Trei Fortificatii. Step out of the city life by going to Ramet Gorge and Rapa Rosie. Explore Sibiu's surroundings by going to Trovanti Museum Natural Reserve (in Costesti), Fortress Câlnic (in Calnic) and Colt Citadel (in Suseni). Next up on the itinerary: get to know the fascinating history of Citadel of Alba Iulia, contemplate in the serene atmosphere at Lutheran Evangelical Cathedral & Tower, wander the streets of Old Town, and admire the striking features of Orthodox Cathedral. To see reviews, traveler tips, where to stay, and tourist information, read our Sibiu tour planning site . Drive from Vartop to Sibiu in 3.5 hours. In July, plan for daily highs up to 32°C, and evening lows to 16°C. Finish your sightseeing early on the 14th (Sun) so you can drive to Sighisoara. Kick off your visit on the 15th (Mon): get to know the fascinating history of Sighisoara Historic Center, then steep yourself in history at Scara Acoperita-Covered Stairway, then pause for some serene contemplation at Darjiu Fortified Church, and finally step into the grandiose world of Cetatea Rupea. Keep things going the next day: identify plant and animal life at Breite Ancient Oak Tree Reserve, then explore the historical opulence of Bethlen Castle, then take in the architecture and atmosphere at The Fortified Church of Biertan, and finally take in the architecture and atmosphere at St. Margaret Church. To find more things to do, ratings, maps, and other tourist information, you can read our Sighisoara travel planner . Traveling by car from Sibiu to Sighisoara takes 2 hours. Alternatively, you can take a train. Expect a daytime high around 34°C in July, and nighttime lows around 16°C. Wrap up your sightseeing on the 16th (Tue) early enough to travel to Izvoare. Start off your visit on the 17th (Wed): tour the pleasant surroundings at Icelandic Horses Riding Ranch and then look for all kinds of wild species at Ivo Wildlife Park. To see photos, reviews, maps, and tourist information, you can read our Izvoare tour itinerary planning site . You can drive from Sighisoara to Izvoare in 1.5 hours. In July, daily temperatures in Izvoare can reach 34°C, while at night they dip to 16°C. Cap off your sightseeing on the 17th (Wed) early enough to travel to Brasov. Popular historic sites such as Bran Castle (Dracula's Castle) and Brasov Historical Center are in your itinerary. Satisfy your inner culture vulture at Peasant Fortified Church at Prejmer and Villages with Fortified Churches. Explore the numerous day-trip ideas around Brasov: Valea Zimbrilor (in Vama Buzaului), Racos (Racos Volcano & Emerald Lake) and La Prapastii Zarnesti (in Zarnesti). Set the 22nd (Mon) aside for some spooky business with a ghost and vampire tour. And it doesn't end there: take in the architecture and atmosphere at Fortified Church of Harman, contemplate in the serene atmosphere at Biserica Buna Vestire, admire nature's extreme beauty at Luado Chocolate, and learn about winemaking at Natura in Bucate. To find more things to do, maps, and tourist information, refer to the Brasov tour itinerary planning site . You can drive from Izvoare to Brasov in 2.5 hours. Wrap up your sightseeing on the 22nd (Mon) early enough to take a train to Bucharest. Eschew the tourist crowds and head to Neagra Bison Reservation and Snagov Club - Pool Bar. Popular historic sites such as Stavropoleos Church (Biserica Stravrapoleos) and Dacian Fortresses of the Orastie Mountains are in your itinerary. Venture out of the city with trips to Cernica Monastery (in Pantelimon), LacertA Winery (in Buzau) and Serve Winery (in Ceptura). There's lots more to do: examine the collection at Bellu Manor, contemplate in the serene atmosphere at Princely Church, take in the architecture and atmosphere at Manastirea Dealu, and contemplate the waterfront views at Vacaresti Park Nature Reserve. For more things to do, maps, where to stay, and more tourist information, go to the Bucharest online trip maker . Traveling by train from Brasov to Bucharest takes 2.5 hours. Alternatively, you can drive; or take a bus. Expect a daytime high around 36°C in July, and nighttime lows around 19°C. Finish up your sightseeing early on the 29th (Mon) so you can travel back home.